'His economy is not having the resilience that ours is right now. As far as the resource industry goes, we’re on the rise here, and he’s not seeing that in the N.W.T.,' said Sandy Silver. 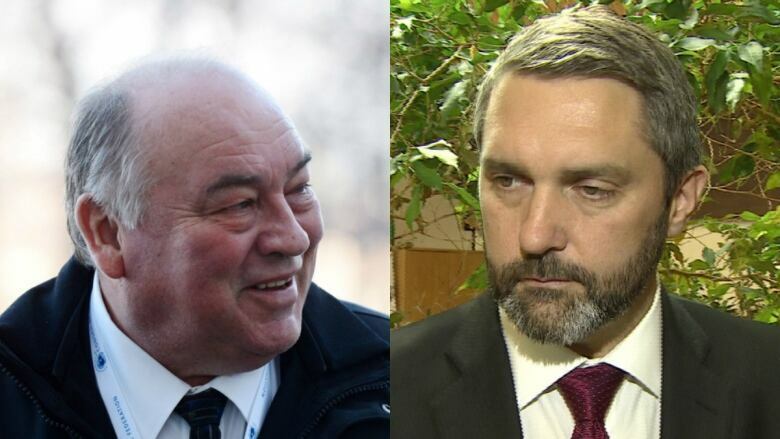 Yukon's premier says he supports his counterpart in the N.W.T., Premier Bob McLeod, who this week took a tough stand against Ottawa's perceived "colonialism" and its moratorium on oil and gas exploration in the North. Sandy Silver says McLeod is simply fighting for his territory's future. "I believe that he's doing a good job for his people, and he's doing the job that the people of the Northwest Territories elected him to do," Silver said. "We have stood shoulder-to-shoulder with Northwest Territories, and with Nunavut, on our message to Ottawa which is, 'no decision about the North should be made without the North' — and I stand by that statement." McLeod issued a "red alert" this week, arguing the federal ban on oil and gas development in the Arctic, announced a year ago, is unfair and threatens the future of his territory. Yukon has seen pockets of oil and gas exploration in the past, but it's been a very minor part of the economy. Mining continues to be Yukon's major industry. Silver's Liberal party won last year's Yukon election on a platform that promised a moratorium on oil and gas development in the Whitehorse trough, and on fracking in Yukon. The Liberals also emphasized support for renewable energy projects and policies. But Silver says McLeod is in a tougher spot. "Our economies are in different places," Silver said. "His economy is not having the resilience that ours is right now. As far as the resource industry goes, we're on the rise here, and he's not seeing that in the N.W.T." Silver says his own government has chosen to work with the federal government on different issues, and he believes it's showing results — for example, the $247 million promised last summer for new mining roads, as well as new money for French-language services in Yukon. "We believe these are the results of a good relationship, of a strong relationship with Ottawa," he said. But Silver is not about to give McLeod any advice about making nice. "For us to sit here and make any criticisms about Premier McLeod trying to get an economy for his people — again, that's his job and I think he's doing a good job, advocating for his people."